New 50 Pk Refill Sleeves for DVD Blu-Ray Movie Storage case replacement Black Colorful Slim CD Jewel Case [RS420M-50B] - $9.99 : MegaDiscStore, Your choices of High quality CD DVD Blu-Ray Replace cases! Great to save space! A little flimsy but it will do the job. This is the replace sleeves for specific Hongwa Brand DVD Blu-Ray Movies Storage case, also can be used individually to store movies in safe. 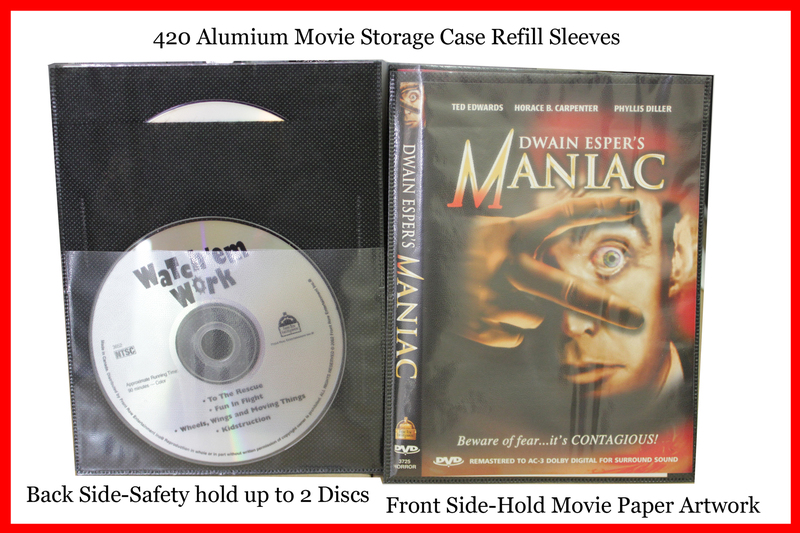 For use to hold the discs and the Movie paper artwork in one sleeve, ONE SLEEVE ONE MOVIE. 50pcs in a pack (Quantity Variance Allowance: +-3%), hold 50 movies (up to 100 discs). Double side plastic sleeve, front side allow insert paper artwork, back side can hold up to 2 discs.